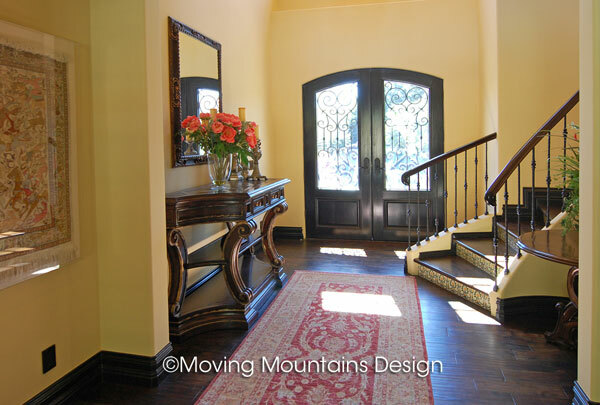 Staging by Moving Mountains Design will transform your Pasadena home into a “picture-perfect” showcase house. Curb appeal now starts on the internet. The National Association of Realtors estimates that almost 90% of people shop on the internet for their next home. This is where first impressions are made, and as we all know, you have only one chance to make a memorable first impression. After home staging, Moving Mountains Design will provide big, beautiful professional-quality real estate photographs of your home to use on the MLS, online and in print marketing. These high-quality, attention grabbing photos will help create interest in your home with home buyers and other real estate agents. If you don’t have appealing photos of your home on the MLS, your home may be dismissed with the click of a mouse. Home staging by Moving Mountains Design is a crucial ingredient in the recipe for a successful real estate sale in Pasadena. The old maxim “location, location, location” as the only thing that matters when selling a home, no longer applies. The new maxim is “price, condition, location”. Buyers want a well priced home in a good location that looks move-in ready. While we have no control over price or location, the home stagers at Moving Mountains Design know how to add perceived value to a Pasadena home and give it that magazine-photo-look in a cost effective manner. Moving Mountains Design will accentuate the finest features of your home, creating a sense of warm welcome, comfort and a pleasing lifestyle. With desirable details highlighted, flaws are less apparent and buyers will be able to imagine how they will enjoy living in your home and the value it will add to their lives. Our staging is specific to the style of the house. We are experts in “Pasadena Style”. We only use furniture and accessories that are appropriate to the architectural style of the houses we stage. Because we out-source our furniture, we have many styles and colors available to us, not just what we happen to have in our warehouse. For example, we won’t use traditional furniture in a Mid-Century Modern, or Victorian furniture in a Craftsman. We take demographics and stylistic preferences for Pasadena home buyers into account, as well. Every item is chosen with an eye to accentuating the architectural details, while keeping the home’s appearance accessible and attractive to the greatest number of potential buyers. This staging service is for who will be living in their home while it is on the market. We will stage using as much of your own furnishings as possible, adding additional rental furniture, artwork and accessories to make your house attractive to home buyers. We’ll walk through each room of your home with you and explain what needs to be packed away prior to putting your home on the market. We’ll give you attractive paint colors, furniture arrangements, point out anything that needs to be repaired or replaced and any recommended upgrades. We’ll also cover your front and back yards for maximum curb appeal. You can do the work yourself or hire us to do part or all of the work for you. We know how important beautiful photos are in attracting home buyers. After your home has been staged and is prepared to sell, we’ll photograph your home so it looks it’s best on the MLS, on-line and in marketing materials. We provide your listing agent with big, beautiful, pro-quality staging photos as a value added service, free of charge!